It is quite obvious that you want every part of your home to look luxurious, trendy, and timeless. The question is: How do you achieve this with the limited resources you have? 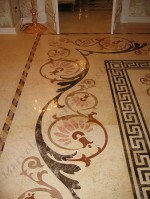 Well, a luxury marble floor border design has been found to work magic in both traditional and contemporary homes. Unlike other types of floor border designs, this one seems to go with almost all other décor elements in a room. 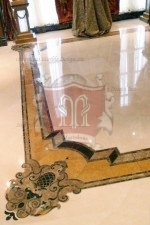 Therefore, it doesn’t really matter the color and design of your ceiling, walls and other interior fittings; the luxury marble floor border will surely add a touch of elegance and comfort. For you to make a statement with your floor, you need to incorporate designs, patterns, colors and materials that are highly attractive and valued. This is where a marble floor border design comes handy. It is created with the intention of highlighting the value and quality of your floor. 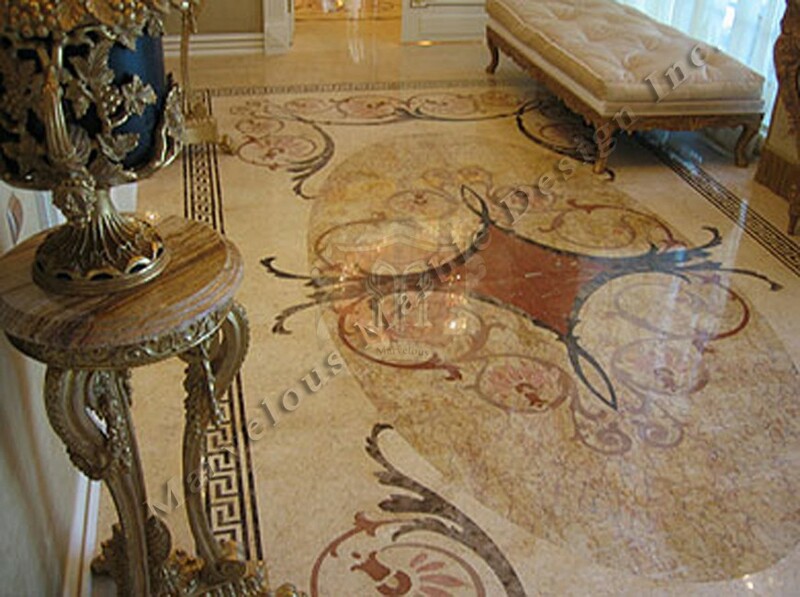 And given the character and history of marble stones, you are guaranteed to have a strong, durable and stunning floor border for years into the future. These patterns are created in a way that defies age. 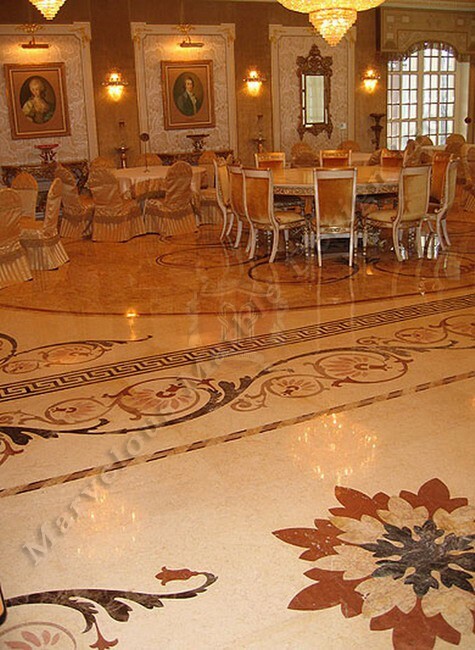 When others spend huge budgets redoing their floors, you just work a few modifications on your marble floor and you are good to go. 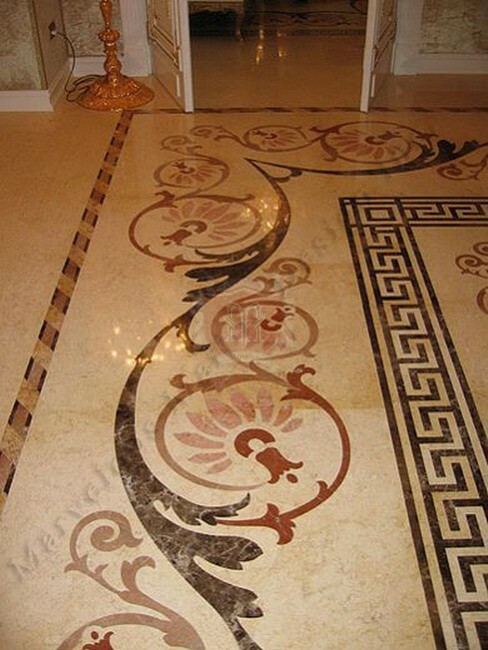 With luxury marble floor border design, you don’t have to change the decor in your room because it can match a wide range of decors. As a matter of fact, this design will work together with the specific lighting to enhance the overall ambience of your room. It brings a special golden color design, which is timeless, charming and comforting. For a glossy, reflective surface in your room, choose a luxury marble floor border design that will compliment the existing decor. You can also use this floor design to create an illusion of extensive space in a small room. 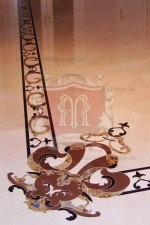 Speaking of rooms, this floor border design can be used in different parts of your house. They especially look wonderful in hallways, living rooms and dining rooms. Everyone will be envious of your style and taste once they lay their eyes on the floor. 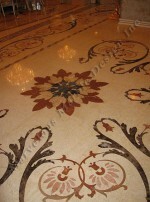 They will love the outline of black mosaic inlays on a golden brown marble floor. And with the additional special lighting, the effect is splendid. Always remember that the impression people will have of you when they visit your house will be determined by the kind of décor elements you have in place.